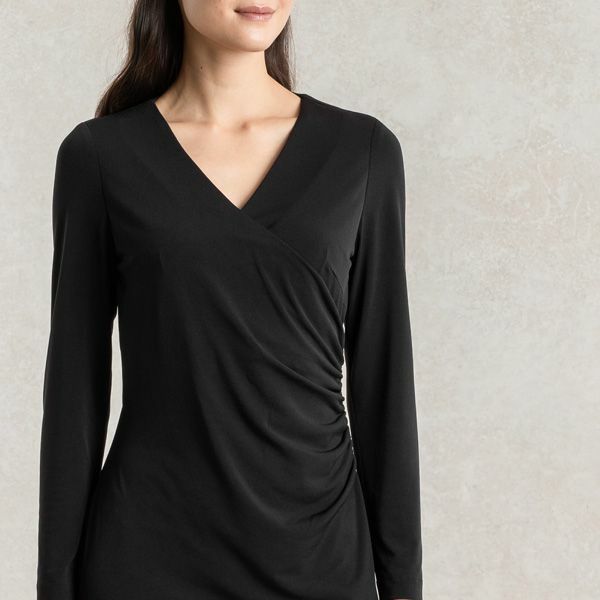 Our minimalistic washable black jersey dress is elegant, stylish, and highly versatile. A must-have item. 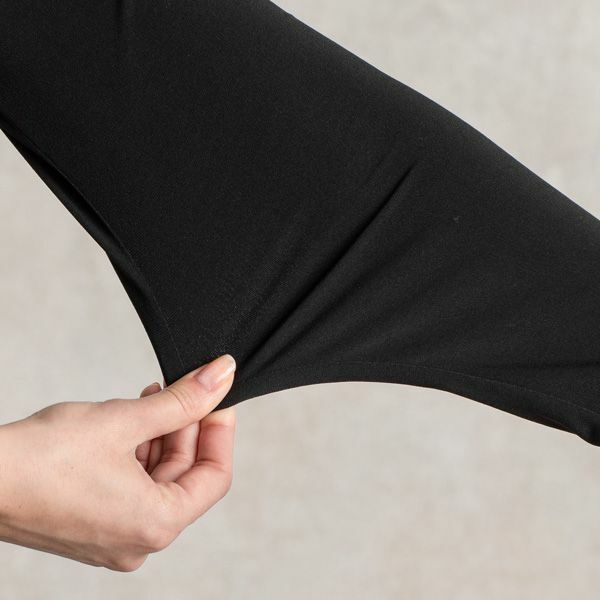 This simple black dress is perfect for both parties and offices. Wear with a knitted sweater for the office or layered with a jacket for important presentation days. Pair with accessories for the perfect party look.